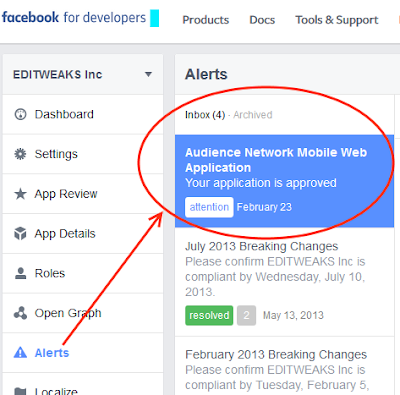 In this post, we will show you how to apply, integrate or use Facebook FAN Ads (Facebook audience network) on your Blogger and WordPress blogs or web apps. With this feature, you'll be able to display and earn with Facebook ads on your WordPress and Blogger blogs. This stuff works on WordPress sites too, using a bit of a different method. 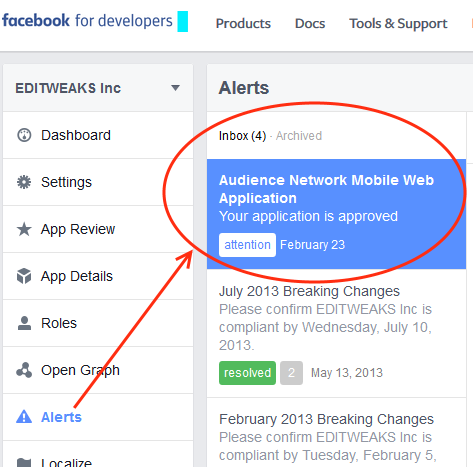 Facebook Audience Network (FAN) has been around for a couple of months now and there seems to be positive progress for publishers using it, especially those who receive tons of traffic to their Apps or Mobile sites. The aim of the network is to help publishers earn money from their App and Mobile sites (blogs) they run just like we have other Publisher networks (e.g: Google AdSense, Media.NET etc), the only difference with Facebook Audience Network "at the moment" is, the Program is ONLY for Mobile Apps and mobile sites. If you're wondering if you can use FAN ads on a Blogger blog, the answer is, sure, YES YOU CAN. I had given it a try and I'll show you how to Integrate it into your Blogger blogs using the steps below. This URL, along with your device and browser details are what tells Facebook that a User is viewing your site on Mobile, hence make them display F.A.N ads. There are only 4 simple phases you have to pass to Set it up. 4. Get Approved, Go Live and start earning from it. Once you've created and Added App from Step 1, take note of your APP ID, we'll be making use of that later. Now, head go to Facebook Audience network page, click START NOW. Select the App you created for your Website, next, we will use the app and website to Apply for FAN ads. That page will also take you through all the steps to Create Advert Placement which you'll apply on your blog (mobile site) later. You have to integrate the codes you're given into your website. The codes come in 2 pairs which you'll integrate into your Blogger template. Go to your Blogger Settings >> Template >> Edit Template HTML. In the ad code you'll find something like this ===> testmode="false"
You can turn that to "true" so that Facebook is aware you're trying or testing it out to Get Approved for FAN ads. Now, Hit Save and exercise some patience, it may take days or a Week but you should Get an Alert and Mail from Facebook once you're Approved. After then you can set back your FAN Ad code to testmode="false"